During his first visit to Langley, the CIA's Virginia headquarters, President Donald Trump told those gathered, "I am so behind you . . . there's nobody I respect more, " hinting that he was going to put more CIA operations officers into the field so the CIA could smite its enemies ever more forcefully. But while Trump was making these promises, behind the scenes the CIA was still reeling from blowback from the very tactics that Trump touted--including secret overseas prisons and torture--that it had resorted to a decade earlier during President George W. Bush's war on terror. Under the latest regime it seemed that the CIA was doomed to repeat its past failures rather than put its house in order. 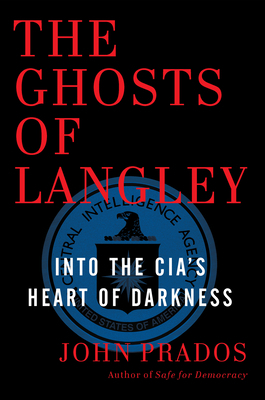 The Ghosts of Langley is a provocative and panoramic new history of the Central Intelligence Agency that relates the agency's current predicament to its founding and earlier years, telling the story of the agency through the eyes of key figures in CIA history, including some of its most troubling covert actions around the world. It reveals how the agency, over seven decades, has resisted government accountability, going rogue in a series of highly questionable ventures that reach their apotheosis with the secret overseas prisons and torture programs of the war on terror. Drawing on mountains of newly declassified documents, the celebrated historian of national intelligence John Prados throws fresh light on classic agency operations from Poland to Hungary, from Indonesia to Iran-Contra, and from the Bay of Pigs to Guant namo Bay. The halls of Langley, Prados persuasively argues, echo with the footsteps of past spymasters, to the extent that it resembles a haunted house. Indeed, every day that the militarization of the CIA increases, the agency drifts further away from classic arts of espionage and intelligence analysis--and its original mission, while pushing dangerously beyond accountability. The Ghosts of Langley will be essential reading for anyone who cares about the next phase of American history--and the CIA's evolution--as its past informs its future and a president of impulsive character prods the agency toward new scandals and failures. John Prados is a senior fellow of the National Security Archive, where he directs the CIA Documentation Project and the Vietnam Documentation Project and helps in other areas. He writes books on aspects of intelligence, diplomatic, military and national security. His works include Storm Over Leyte: The Philippine Invasion and the Destruction of the Japanese Navy, Normandy Crucible, and Islands of Destiny: The Solomons Campaign and the Eclipse of the Rising Sun. His books on the CIA--some of which have been on CIA recommended reading lists--include The Ghosts of Langley: Into the CIA's Heart of Darkness (The New Press), Safe for Democracy, The Family Jewels, William Colby and the CIA, Presidents' Secret Wars, and The Soviet Estimate. He has consulted on historical aspects of film projects and his papers, articles, and reviews have appeared widely. Prados also designs board strategy games.